Instagram is an exceptional photo-sharing social media platform. It’s young, it’s extremely popular, and it’s the most engaged platform after Facebook. 32% of U.S. teens cite Instagram as their favorite social network. But there is more. 53% of Instagram users follow their favorite brands on Instagram, and 44% use Instagram for product research. That’s more than any other social media platform! So you need a really good reason to discard Instagram marketing. And “my product isn’t pretty” isn’t a good enough reason. I get it: Instagram marketing can be intimidating. It seems that the only brands that can win with it should sell mouth-watering food, clothes or beauty products. And that’s pretty much it. Truth is, it might be easier for them to come up with the appropriate content but their competition on Instagram is higher as well. Although you might need a bit more filtering and creativity to sell, say, fridges than you would to sell flowers, your efforts won’t be wasted. So I highly suggest to consider Instagram marketing. And hopefully this article will help you with this. 1. Post experiences, not products. Who says you have to even post your products on Instagram? I do. People should know what it is that you’re selling. But you don’t have to focus on your product in your images. You can include beautiful experiences that come with it. IKEA, of course, is a pro at creating these images. Create an appealing background for your products, and you’ll see the difference. Instagram is made to make everything look beautiful: explore all its features (keep in mind that they’re regularly updated) and experiment with your product. Some things look artsy just by being transformed with a cool filter. And they also offer special effects and editing tools. It’s like there’s a tiny Photoshop on your phone! If that’s an option for you, ask for some help from your creative team. They’ll help you the most visually appealing image. If not, look at the filter guide, such as this one. 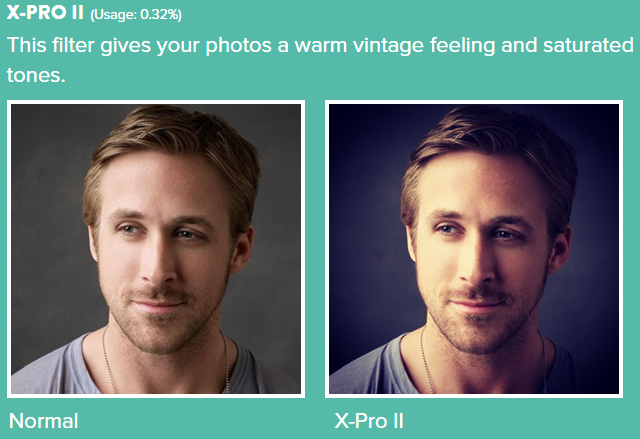 It tells you all about filters on the Ryan Gosling’s example. Great choice, I think. 3. Feature customers using your product. People love taking photos of themselves. It’s strange, really, how much people love it. So any excuse to make a photo of their own beautiful self will do. Encourage brand awareness and engagement by introducing hashtags like the famous #icebucketchallenge and encourage customers to take a photo with your product. For inspiration, look at the American Eagle’s Aerie lingerie line which began marketing with the hashtag #aeriereal in 2014. American Eagle’s raised their sales by 20%, although it has to be said that their Instagram campaign was a part of a bigger idea that included turning to non-professional models, abandoning retouching in their ads, and the overall ‘real beauty’ approach. One-third of Instagram users think of themselves as photographers, which they are – I mean, it does involve taking a lot of photos. Consequently, they take photos of everything. There is a high chance your product or some experience connected with your product is already on someone’s Instagram. Now all you have to do is find it. Use Awario to find all photos on Instagram that involve your product, your brand, or any other keyword of your choosing. Gathering this content will provide your brand with social proof. You might even want to use this content in your promotion, but in this case don’t forget to ask the author for the permission. 5. Engage with other Instagram users. Instagram is a lot about engagement. 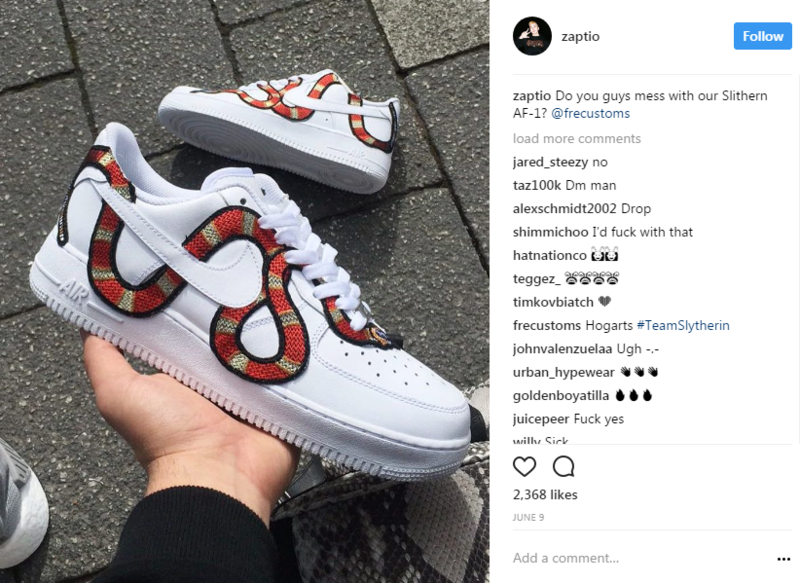 People and brands alike follow each other, comment on each other’s photos. Don’t act as an outsider: follow brands that are related to your product, but aren’t direct competitors and engage with them. Most likely, they’ll return the favor and their followers will be exposed to your Instagram account as a result. If you’re serious about Instagram marketing, engage with your followers as well, i.e. comment and like their photos. Your followers will hugely appreciate that! And, of course, engage with everyone on the Instagram who has mentioned your brand. Instagram influencers are a modern day phenomenon. These are people that have a huge following and whose opinion on things matter to their followers. Admittedly, these are usually fashion/beauty/travel/photography experts, so you might not find any proper influencers if you’re selling toothbrushes or glue. But it’s worth trying. In Awario, you’ll get a list of people with the biggest following who’ve mentioned your brand and/or your product. If there are such people, don’t miss your chance! Involve them in your campaigns and promotions. Personalization is the way to go when you try to connect with your customers and increase sales. Come up with the Instagram-only, seasonal or other promotions. Let people know the discount code in the image, and see your sales plummet! For holiday promotions, you don’t have to use Christmas and Valentine’s like everyone else does. Get creative and use something vaguely related to your product (or unrelated but fun). Find the holidays to celebrate here! 8. Offer sales to commenters. Go even more personalized. Ever noticed how on some people comment on product photos something like “I need this” or tag a friend? Use this as a social selling opportunity. A simple call to action might do the trick! Or you could even offer a discount to these people, and bam – you’ve got a customer! 9. Post a demo video. If you’re an actual store (not literally you, but you get it), it’s really useful to tag your location. That’ll attract people who didn’t know your store is just around the corner. Tag other places of interest on your photo to get some love from other brands on Instagram. 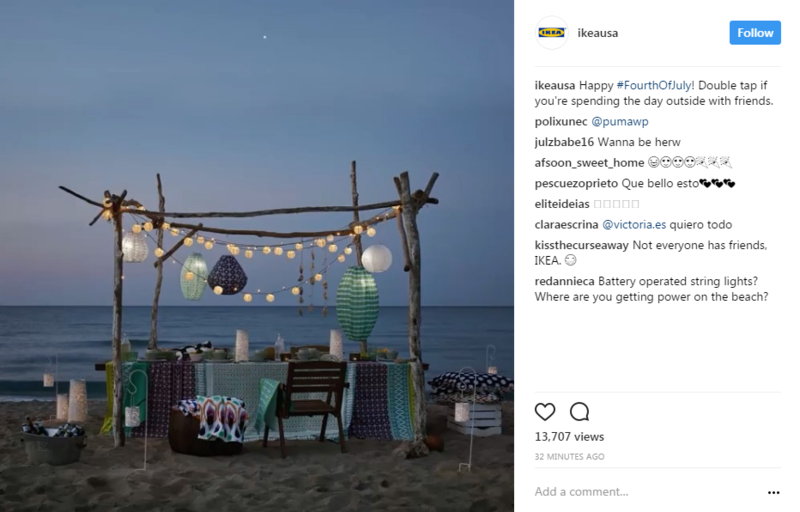 What are your tactics and ideas for Instagram marketing? Let me know in the comments!